This is the first time I’ve made this meal. 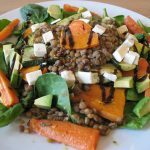 I got an inspiration from lentil recipes published in Healthy Food Guide magazine in the past 6 months or so. As I didn’t have all the ingredients required in those recipes I decided to use whatever ingredients I had available at home. 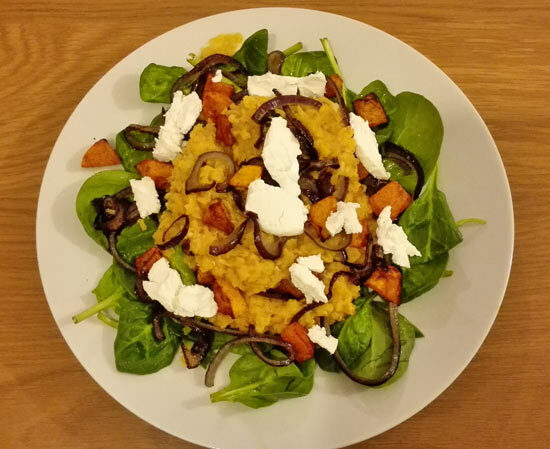 I had sweet potatoes, carrots and courgettes which I could roast, but I also had some spinach which I needed to use. Brown lentils normally take quite long time to cook, but I bought the type that takes around 20 minutes before it’s ready. You will have to look in your local wholefoods store and see whether they stock them. Cut the courgette, sweet potato and carrots lengthways into 1/2-thick slices and put them in a large roasting tin. Sprinkle some chives on top and drizzle over the olive oil. Put into the oven. Put the lentils and stock in a pan and cook until lentils are tender, then drain. While lentils are cooking, cut avocado in medium pieces and crumble feta cheese. Add lemon juice and a drizzle of extra virgin olive oil to the cooked lentils. 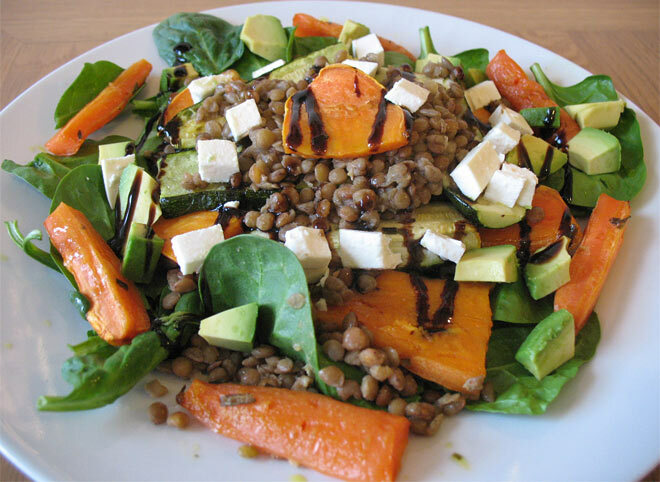 To serve, put the spinach on a plate first, and then layer the courgettes, sweet potato and the lentils. Place the roasted carrots around the layered veg and lentils. Drizzle over the balsamic glaze. Sprinkle over pieces of a cut avocado and crumbled feta cheese. If you have red onions, you could use them for roasting as well. 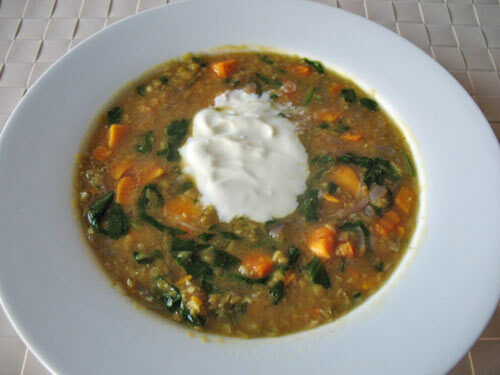 I quite liked this combination of vegetables and I think spinach, sweet potatoes and lentils go together very well. Do you have any suggestions on how to improve this recipe? 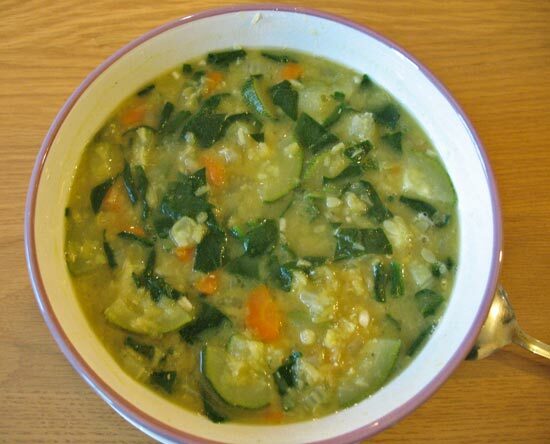 What’s your favourite lentil recipe? I would love to hear your comments.